If 2009 was the year the media moved my cheese, the present time seems like the year they’ve kicked my cheese into touch. Touchscreens, that is. Glass gold. Texas tea. No, wait! That’s the Beverly Hillbillies theme song. Like any teenager, I just verified the lyrics by going to YouTube on my touchscreen phone. I can watch the local news on that phone too, by using the free apps provided by the individual broadcasters. And, for the past two years, while I’ve been paying AT&T $60 a month for their UVerse TV service, I could watch lots of TV programs on demand for free on my phone as they streamed over the UVerse home wifi I paid another $60 for each month. When I finally gave in a couple of years ago and asked to have the sharp end of AT&T’s nozzle inserted into my wallet so they could vacuum it out each month, it was for one reason only: although I can get 43 channels over the air for free since the change to DTV in 2009, oftentimes the signal breaks up as it heads across the Bay to me from San Francisco’s Sutro Tower. And since some of the major networks (NBC and ABC) use a tower down in the South Bay, I can’t get them over the air at all. It irks me greatly that the legacy-national-networks get their part of the spectrum for free under a decades-old agreement in exchange for providing nationwide coverage, but don’t. 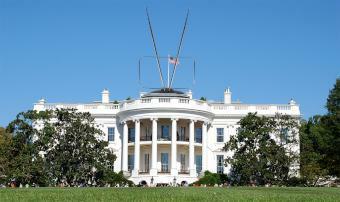 However, I don’t really have a rabbit ear to stand on—the Federal Communications Commission (FCC) only requires the signal to be received by external antennas. Seen many of those lately? Care to guess at the chances of my (or anybody’s) apartment building owner willingly letting their tenants stick one on the roof, even if their right to do so is protected by the FCC? And then along came Aereo. Not quite yet to the San Francisco Bay Area, but back East, where—for $8 a month—you could get your very own teeny tiny antenna assigned to you, along with your own individual recording space, in a huge antenna/server farm, and then watch your local channels via the internet. Not so fast, sister, the US Supreme Court opined on June 25. Aereo was, the Supreme Court decided, “substantially similar” to a cable company and, as such, should be paying the programming originators public performance fees for the content. Aereo argued that it wasn’t a cable company because it didn’t store all and every piece of programming and then charge for it. It simply provided the means by which an individual could watch and/or record a program as it was being aired on public airwaves. Previous case law had found that an individual recording a program for their own private use did not fall within the purview of public performance copyright laws. And no one has ever asked antenna installers or DVR manufacturers to pay content providers for the privilege of enabling people to watch and/or record TV programming. Because of its potential liability to pay the plaintiffs (NBC, ABC, Univision and PBS, among others) for programming that its subscribers watched or recorded, on June 28 Aereo “temporarily” ceased its operations. 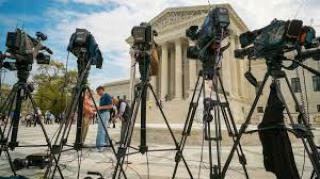 Then it surprised everyone by saying to the lower court from which the original case had been referred to the Supreme Court that, since it had been declared by said sages to be substantially similar to a cable company it was, indeed, a cable company and should be eligible to buy a cable company licence. 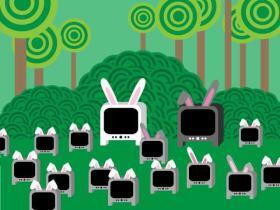 Not so fast, ducky, opined the Copyright Office when Aereo applied for the licence. Just because the Supreme Court says you quack like a duck doesn’t mean you are one. Nonetheless, the Copyright Office was happy—pending the outcome of the lower court’s decision on this new twist in the ducktail—to provisionally accept Aereo’s offer to pay royalty fees on what its subscribers had access to between January 2012 and December 2013. Aereo’s battle with the major networks and the companies that own them seems to be yet another example of a legacy industry trying to exclude from their turf other, more agile, operators adept at using new technology. The company certainly portrays this battle in that light on protectmyantenna.org. To be fair, broadcasters do seem to be trying to get with the program, so to speak, as this article about a recent conference in LA attests. And it’s not just the content providers—who rely more on the money they get from charging cable companies to carry their content than on the money from TV commercials—that are spooked by Aereo. Cable companies have such a bad rep in the US that people are fleeing them in droves, preferring to pay instead for faster internet speeds and huge amounts of data in order to watch streaming video. In fact, instead of signing up for UVerse TV two years ago, I could have just signed up for the maximum speed internet from AT&T, which at that time had unlimited data contracts, and used my computer as my entertainment centre. No telecom company in the US now has unlimited data plans, and it’s largely because they believe that THEY—not the legacy cable or satellite companies—are the future of television broadcast delivery. I imagine that people who think they’re getting their content for free over wireless internet come in for a great shock when they see the bill for going over their data limit. I was astounded by the results when AT&T recently launched a new app on UVerseTV that allowed you to see what was trending—ie, what other UVerse subscribers in your media market was watching. I took a snapshot of the screen at random times of the day and night for a week, and of the eight channels that were shown in the on-screen “What’s Trending” table – at least six of them in every snapshot were local stations that anyone with a good antenna could get over the air for free. The two exceptions would be sports and children’s programming, which the individual channels increasingly offer via internet streaming packages and standalone phone apps anyway.